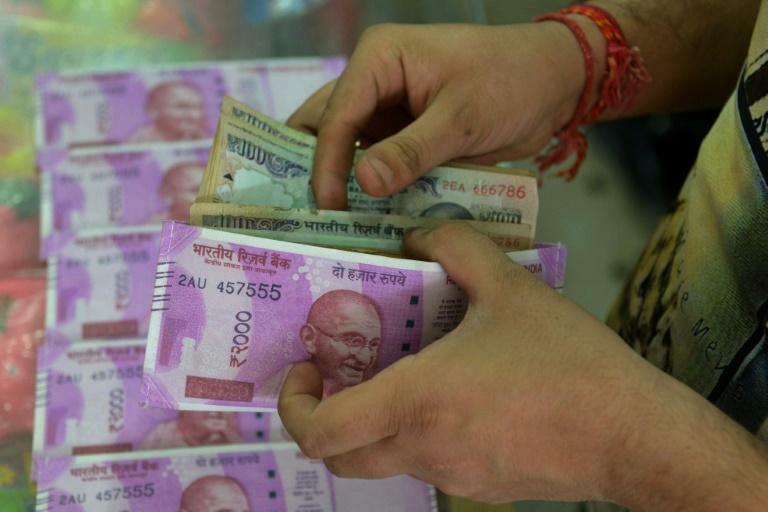 India's rupee hit a new record low of 72 to the dollar on Thursday as emerging market currencies suffered more losses. The under-pressure currency of Asia's third-largest economy slid to 72.12 to the greenback in afternoon trade. The rupee has steadily fallen by about 10 percent throughout 2018, after starting the year at 63.67. Last month it crossed 70 for the first time as India was buffeted by the turbulence of the Turkish financial crisis. The Turkish lira was sent into a tailspin in August by a bitter diplomatic spat with the United States over Turkey's detention of an American pastor for almost two years on terror-related charges. The currencies of other emerging economies heavily dependent on dollar-dominated foreign capital like Brazil, South Africa and Argentina also slipped in August. The rupee slump is widening India's current account deficit. India is a massive net importer of oil, which is priced in dollars, securing more than two-thirds of its needs from abroad. High oil prices have been squeezing the rupee, making it less appealing to investors, analysts say. India's central bank has raised interest rates this year in part to help increase the value of the rupee.